Lead generation serves as the lifeblood of the real estate profession. As real estate professionals are aware, finding the next qualified lead is tantamount to success. Unfortunately, the lead generation process contains a number of flaws. Real estate professionals must endure hours of repetitive emails, texts, and phone calls. Massive amounts of time is spent posting to social media sites. Smalls fortunes are dedicated to flyers and advertisements. While the Multiple Listing Service helps to a degree, the one-dimensional nature of the MLS creates limitations and does not foster an environment for communication. As a result, a large percentage of properties are actually sold outside the MLS. Ultimately, lead generation is not only time consuming, but also involves multiple channels, tends to be highly repetitive, and does not embrace the entire real estate industry. HipPocket is working to change many of the challenges real estate professionals encounter in the lead generation process. By reinventing lead generation, HipPocket significantly reduces the amount of time and money real estate professionals must spend on the lead generation process. Real estate professionals are able to take advantage of a unique blend of private real estate agent-only property listing service and powerful social networking. With HipPocket, agents can post pocket listings, buyer needs, and pre-MLS listings to other agents in their community. Even better, they can do so in real time at absolutely no cost. Thanks to HipPocket's agent-to-agent marketing concept, the chances of finding a buyer or seller match are significantly increased. Real estate agents frequently find that when they receive a new listing, it is nearly impossible to post to all the various email lists and Realtor Facebook groups. HipPocket helps eliminate this challenge. All agents need to do is post once and begin a conversation with the agents within their community. HipPocket offers the fastest and most effective method for generating interest in a new listing. HipPocket also helps make sure that real estate agents never miss a potential lead again, by providing instant notifications to keep agents connected to their community. For instance, real estate agents can see when a new posting is submitted to their group, as well as when someone responds to a listing they have posted. Soon, HipPocket will also provide the opportunity for users to choose to receive listings and needs in the areas where they work the most. As a result, real estate agents will be able to hone in on the areas where they are most likely to make a buyer or seller match. 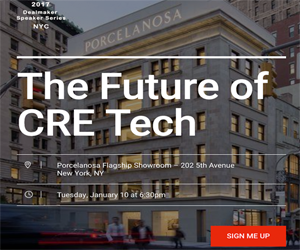 While HipPocket is currently focused on the residential real estate sector, plans are underway to offer the platform to commercial real estate professionals in the future. As social media becomes an increasingly integral element in the real estate industry, platforms such as HipPocket will become even more important in successful transactions.